Photos by Brandon Macz: After years of planning and fundraising, followed by a little more than a year of construction, Country Doctor Community Health Centers plans to open its new dental clinic in Capitol Hill on Monday, Feb. 11. Eight apartment units above the dental clinic are now available to lease. Country Doctor’s new dental clinic in North Capitol Hill is set to begin seeing patients on Monday, Feb. 11, with a grand opening planned later in the month. “We are going to clean teeth the first week of January, come hell or high water,” Country Doctor Community Health Centers executive director Raleigh Watts told MPT during a tour of the clinic back in mid-September. Watts is blaming the postponed opening of the dental clinic on a permit delay with SDOT. The opening date was pushed to Feb. 4, but Watts tells MPT there was a delay with final inspections, so it is now Feb. 11. Demolition of the old Betty Lee Manor building started in early November 2017, after Country Doctor spent two years working out its plans for a four-story dental clinic and apartment building through the East Design Review Board. 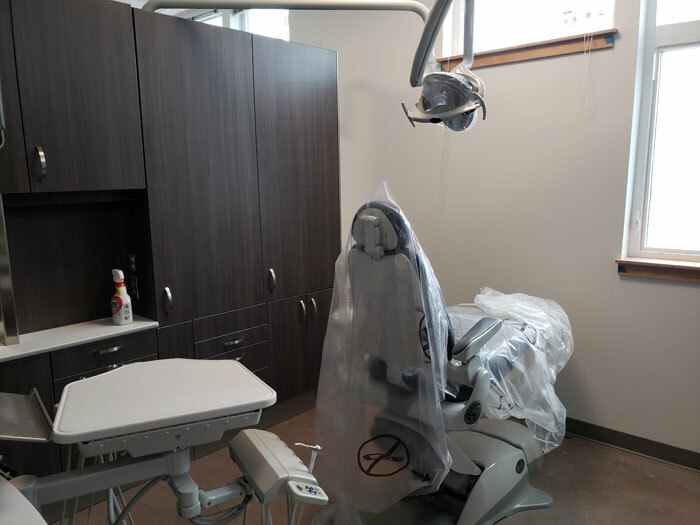 The clinic has eight dental chairs, but just four will be used initially, said CHCDC development director Michael Craig during another tour with MPT on Jan. 18; the rest will be phased in. “The first few months will be, what are the needs of our patients,” he said. An extension of the Country Doctor’s Capitol Hill community clinic, the new dental clinic will prioritize clients with Medicaid or no insurance, pregnant women, children and immunocompromised individuals. About 2,000 people are expected to be phased in over time, Craig said, adding Country Doctor hopes to solidify a partnership with Swedish Medical Center to fill any gaps in dental services. Uninsured patients may qualify for a sliding-fee discount program based on income. The first patients will be seen on Feb. 4, and a grand opening is planned for 5-8 p.m. Thursday, Feb. 21. Services include X-rays, cleanings, oral health education, sealants, fluoride treatment, filings, crowns, dentures, extraction and limited emergency dental care. There are six rooms on the ground floor for non-medical services, such as the WIC program and maternity support and diabetes education. Patients stay to the right as they enter, while residents of eight apartment units on the top-two floors will go to the left. 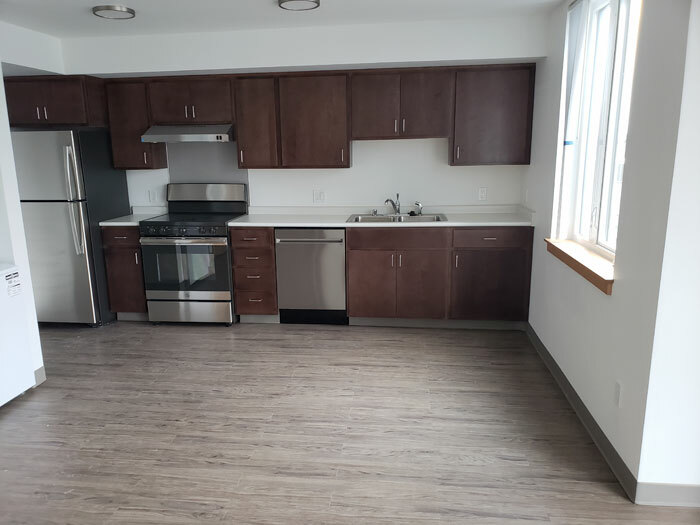 The market-rate apartments are an even mix of one-bedrooms and studios that will generate revenue for the clinic. Marathon Properties is managing the apartments, which became available for lease on Feb. 1. The second floor of the dental clinic building will be for administrative offices and HIV and behavioral health services, which can now be integrated with medical staff. “It’s not really a backlog; we’re just not helping as many people,” Craig said. A meeting room that will also be used for community educational programs is being named for Country Doctor founding member Linda McVeigh, who led the fundraising campaign for the dental clinic before retiring late last year.